I’m not a lama expert, but I leaned a lot in the short time I had them. They are wonderful animals but so different from what I was used to. A couple of years ago I was visiting a friend who had sheep and camelids. She really had camelids. For a while she had two camels. 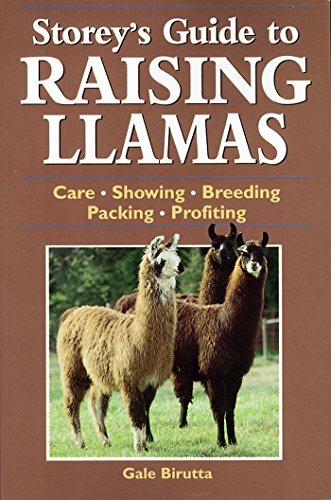 But most of her stock was alpacas and llamas. Now I’m not misspelling llama. 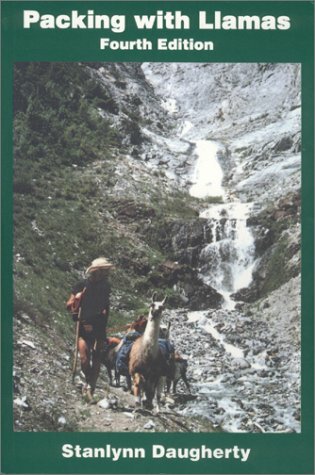 Lama refers to alpacas and llamas, as well as their wild cousins, the Guanaco and the Vicuna. Camelids include the lamas and the camels. That’s the first thing I learned before I ever had a lama. I’ve kept sheep, goats, horses, dogs, birds, rabbits and assorted livestock, but never a lama. The alpacas look pretty foolish to me with their topknot of fleece but people who say they are allergic to sheep’s wool want things made of alpaca fleece. I was attracted to the llamas with their regal looks but their fleece is often double coated which means you have to separate the stiff guard hairs from the soft undercoat. I had already tried that with Pygora goat fleece and thought it was just too much trouble. 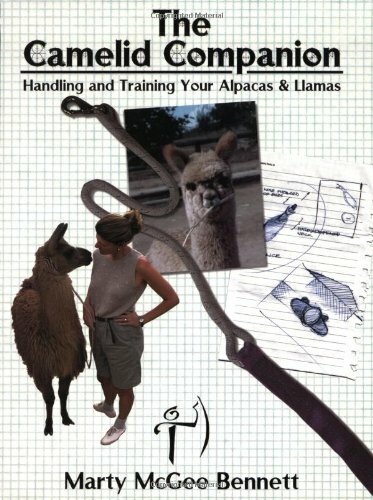 The first thing I learned is the normal lama is not an animal you can walk up to and put a halter on. They will move away from you and the more you chase them, the faster they go. If you try to entice them with grain, that can present its own set of problems. Most of the spitting problems occur at feeding time and hand feeding just compounds the problem. 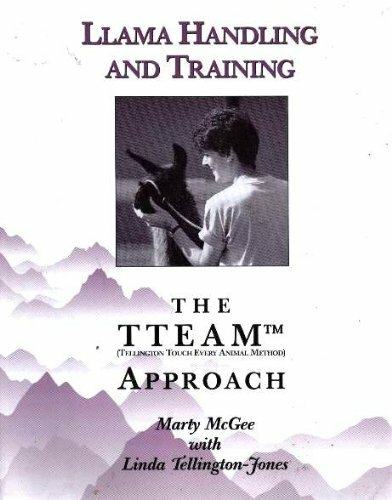 Of course experienced trainers have had amazing results clicker training both llamas and alpacas with treats. I leaned about the catch pen. It’s a pen that the lama can be herded into that is big enough that they will go in willingly, but small enough to be able to catch them. Here’s a video that isn’t in English so I don’t know what she is saying, but if you watch the beginning, you can see the woman herding the alpacas into a corner and catching one. Once she puts her hand on the animal, he seems quiet relaxed and even seems to enjoy the contact. The second one is a little more excitable and even does a mouth spit. This is more common than the full stomach spit that is so distasteful, for both the spitee and the spitter. 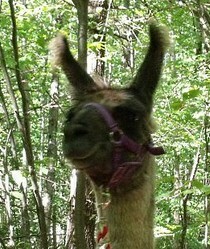 My llama, Gryf, never spat at people, only at the alpaca. The alpaca, Denny, was a bad boy and flunked out of 4H because of his willingness to spit at people. He spat at me more than once. The llama, Gryf, was a handsome fellow with a rich, reddish brown and white coat. I sheared him and discovered that it wasn’t hard to separate the fleece at all. The guard hairs were long enough to spin into coarse rope-like string and the undercoat was soft enough to wear next to the skin. I’m working on a shawl from his fleece. The alpaca was sheared so I didn’t get any fleece from him, but I did get some from other animals. I had a back field where I had put up a fence for the goats, sheep and now the lamas to graze. I had to take them out every morning and bring them in every night. I didn’t trust the fence to keep out coyotes and bears. I could herd the small stock out but I had to lead the lamas with a leadline. The alpaca would always hang behind and I had to constantly urge him on. Gryf would step right along and always took in the view. He was so eager to go for walks that I had visions of training him to be a pack animal. Of course I’m past the point of hiking anymore, but maybe we’d walk in the parade. Llamas can be used to pull a cart too, but the interesting thing about them is, they are not a trotting animal like a horse or pony. They are more comfortable at a lope. Not all llamas make good guard animals. Gryf paid no attention to my border collies. The alpaca, however, bonded right away with the sheep and would be in a fury if the dogs came anywhere near them. The sheep would run to him if they felt threatened. This made it tricky to get the sheep herded to where I wanted them without endangering my dogs. 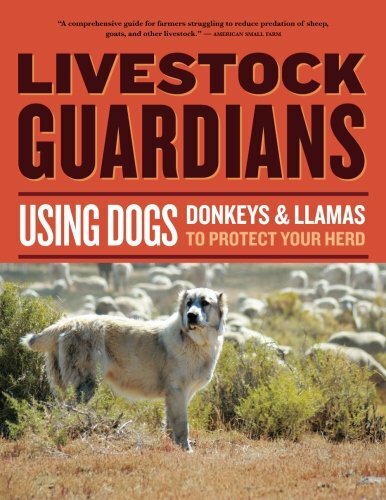 Llamas really are the preferred guard animal because of their size. They can do quite a bit of damage to a dog or coyote. Alpacas are quite a bit smaller. While they could take on a single canine, they would be in trouble if there were a number of them. I leaned that lamas are amazing animals. They are wonderful pack animals and companions. They are smart and easily trained. Like most other animals, you get more from them with kindness and understanding. Their fleece is wonderful to spin and knit. 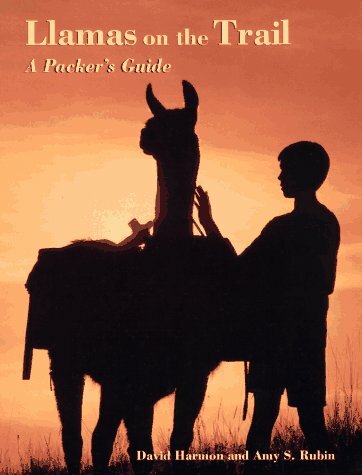 When I left for Texas from New England, I couldn’t take the lamas with me. My friend graciously took them back. I miss them both, but especially the llama, Gryf. I know he’s got a good home and lots of 4H kids to give him attention. I have the shawl. I love 'em, but they are all individuals. I want my Gryf! Maybe someday when I have some land again I'll have a lama again. Thanks. I want a llama! Great article. That's what happens when you get old. Lots of life experiences! Ha.